Technology and data are driving change in business and society at an unprecedented rate. The transformation to a digital enterprise is complex, challenging and potentially expensive. Most organizations cannot simply ‘lift and shift’ or ‘rip and replace’ their systems and hand them over to service providers, or simply move all their business processes to public cloud. They have to manage a complex transformation involving on-premises applications and infrastructure, public cloud, Software as a Service, Infrastructure and Platform as a Service and colocation amongst many other things. The session discussion revolved around how organizations embrace and seek to lead that change, or struggle to get up to speed. 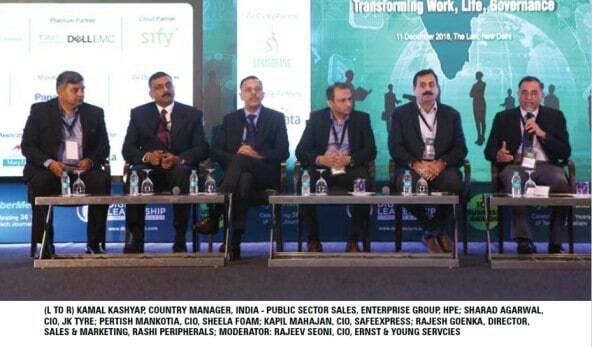 DQ Digital Leadership Conclave 2018-Panel Discussion- New Age IT Infra 0 out of 5 based on 0 ratings. 0 user reviews.